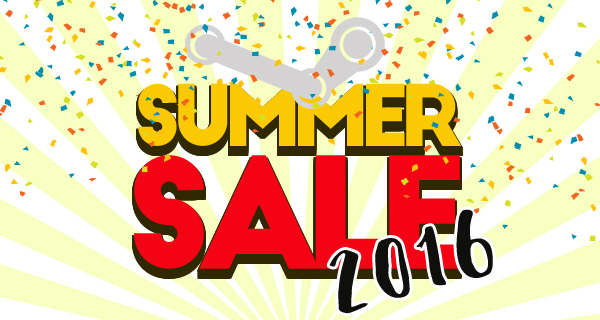 Steam Summer Sale 2016: Mark Your Calendars Now! …and get your wallets ready, too! The dates of the Steam Summer Sale 2016 have been revealed! The temperature is getting hotter, but we’re pretty sure there’s nothing hotter than discounted prices on video games! The entire duration of the sale is still currently unknown, but we’re guessing it will last for a week or two as it usually does for the past few years. Watch this space for more information about the Steam Summer Sale 2016 as well as our price comparisons for highlighted games during the sale! Which game/s on Steam would you like to go on sale? Let us know in the comments! Only 5 days left guys, i can’t wait anymore :,( hope to see on sale: This War of Mine: Little Ones DLC. Good to know. I hope that it will be a long list of good games! Can’t wait for the summer sale! I hope to see the following games on sale: Fallout 3, The Witcher 2, The Forest, Subnautica, 35MM, Paws, Prison Architect, Novus Inceptio, Shadwen, Life is Feudal: Your Own, This War of Mine: Little Ones DLC.